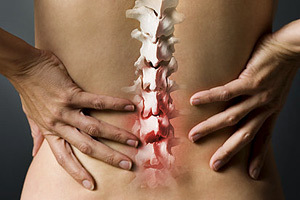 An Introduction to Back Pain Medication. When should I take Back Pain Medicine? If you have back pain are are considering taking medication, then what types are available and which should you take? Firstly, when you have acute and chronic back pain, then pain levels can lead to further problems due to muscle imbalance, sleeping difficulties, inability to exercise and stretch and also tiredness depression - all of which can combine to exacerbate and extend the duration and severity of your back condition. So taking pain medication is generally helpful in this situation, as it helps alleviate the symptoms and provide much important pain relief as appropriate, but seek professional advice and understand why you are getting pain in the first place. Both non-prescriptive and prescriptive medication are available for back pain relief and there are many options available at your local pharmacist and some products that are specifically marketed for back pain relief. How they typically work is that they address the symptoms of pain and so enhance the resolution of a back pain episode. However, it is important to remember that back pain medication does not necessarily address the cause of the pain - often it only masks it. So my main message is to seek professional advice at an early stage of your back pain and understand why you are getting pain in the first place. Talk to your local doctor or pharmacist about what would be appropriate medication for you to take. You may be introduced to various options, so let’s familiarise ourselves with the main ones that are generally used. ..
Non-steroidal anti inflammatory drugs (NSAIDs). As a reminder, I am not a medical doctor. Therefore, I advise you to never take medication without first discussing it with your doctor. However, over the years I have monitored so many people who have been taking various forms of medication for back pain, and have seen resulting patterns of conditions which respond better to one kind of medication as against the next. The most common of these that I commonly encounter in my physiotherapy practice are Non-steroidal anti-inflammatory drugs(NSAIDs), narcotic pain medications and muscle relaxants - all of which can be helpful to alleviate pain and muscle spasm. Other types of drugs I see are anti-depressants or anti-seizure medications which are also used to help modulate the sensation of pain associated with back pain. Because all episodes of back pain I see have an inflammatory component to the pain - I encounter people taking Non-steroidal Anti Inflammatory Drugs on a daily basis. Non-steroidal Anti Inflammatory Drugs are an effective pain treatment option especially in the early stages of back pain. There are many types of Non-steroidal Anti-Inflammatory Drugs on prescription and I advise that you talk to your doctor in detail about your back pain before embarking on a course of anti-inflammatory medication, as there may be a appropriate form of this drug to take for your specific condition. I generally recommend people to be on Non-steroidal Anti Inflammatory Drugs if inflammation is present. Inflammation can be suggested by pain arising following activity in your back, subsequent to a strain or tear of a muscle in your back, or pain and stiffness related to tendon, ligament, muscle strain or a tear in your neck area. Muscle relaxants are a common pain-relieving medication that I see used in the management of back pain. Muscle relaxants have a very different effect on the body compared with pain medication. Muscle relaxants work by releasing the “whole body tension”. They do not work directly on the muscles but rather they work centrally in the brain and hence have an overall body relaxing effect. Muscle relaxants appear to have a very good effect when prescribed early in the course of back pain. They should only be used on a short term basis to relieve back pain and the muscle spasms associated with the early days of same. This allows for better resolution of back pain symptoms through movement from the outset. Diazepam is an example of a muscle relaxant that I see used effectively in the management of back pain. On occasion, I have had patients who have been prescribed narcotic pain medications for the management of their back pain. All narcotic drugs help with back pain by disassociating the patient from the pain. However, I must advise that narcotic agents are strong and have the potential to be addictive in nature, and should only be carefully administered by your doctor for controlled periods of time. Examples of narcotic pain medications are Codeine and Oxycontin. Oral steroids are a prescriptive medication and can be very powerful in their anti-inflammatory effect in your back pain treatment. Generally, doctors advise that they only to be taken for short periods of time for up to two weeks. Patients I see on oral steroids often worry a lot about taking them. However, generally speaking, complications and side effects of short term use, do not appear to be evident. However, long term use of steroids may lead to adverse effects such as weight gain, stomach and duodenal ulcers and osteoporosis to name just a few. Again, steroid administration needs to be closely monitored by your doctor as your general health and medical history may dictate whether it is appropriate for you to take them or not. Oral steroids should not be taken if you have diabetes or an active infection such as a urinary tract infection. This is due to the fact that the oral steroids can cause those infections to worsen. Medication - when used appropriately - can help facilitate a quicker resolution of your back pain and generally speaking, people can safely take over-the-counter medication without advice from their doctor. However, I always advise people to be very cautious with medications , particularly if they are on any other medications or have any other medical conditions, for example diabetes. Always read the information provided within the drug packet prior to taking your first tablet. There can be risks and side effects, and if you are on other medication you need to check out whether there are potential interactions between the two. So if you have any concerns consult with your doctor or pharmacist before you start taking back pain relief medication. Stronger forms of medication such as steroids or narcotic pain medication should only be taken under the supervision of your doctor and pharmacist. For further information regarding the medication you are on, I advise you to talk through your options with your Physician and then do some more research yourself so that you understand the most appropriate medication for your back pain. The important factor to note is that taking back pain medication is only one part of your rehabilitation process. The underlying dysfunction in your back (the cause of your back pain) needs to be resolved and only manual intervention and exercise therapy can resolve such situation.